Oni - Restaurants & Cafés in Den Haag. Classic Japanese set in a modern contemporary interior. 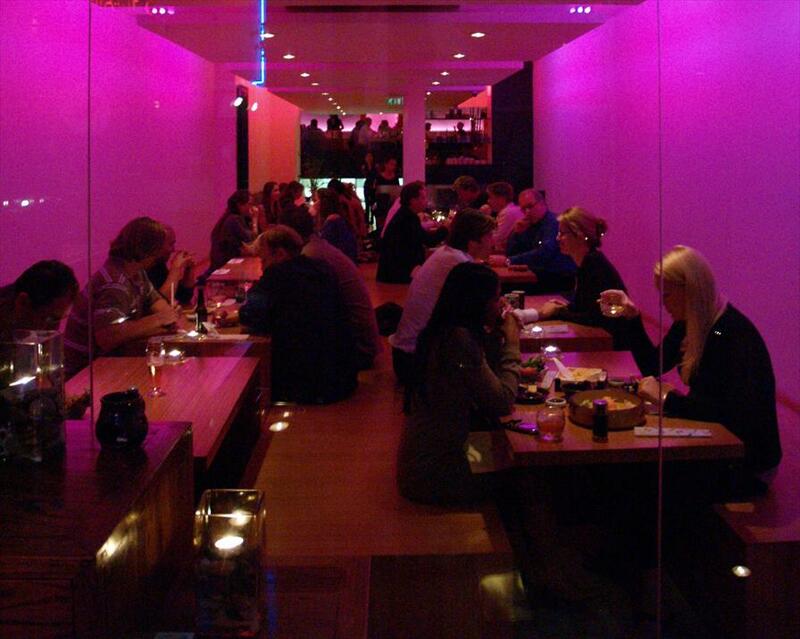 Oni means exceptional, and that is certainly the case in this restaurant. The sushi, sashimi and tempura are of a rare quality, the Wagyu beef with black pepper and teriyaki sauce is a regular hit. 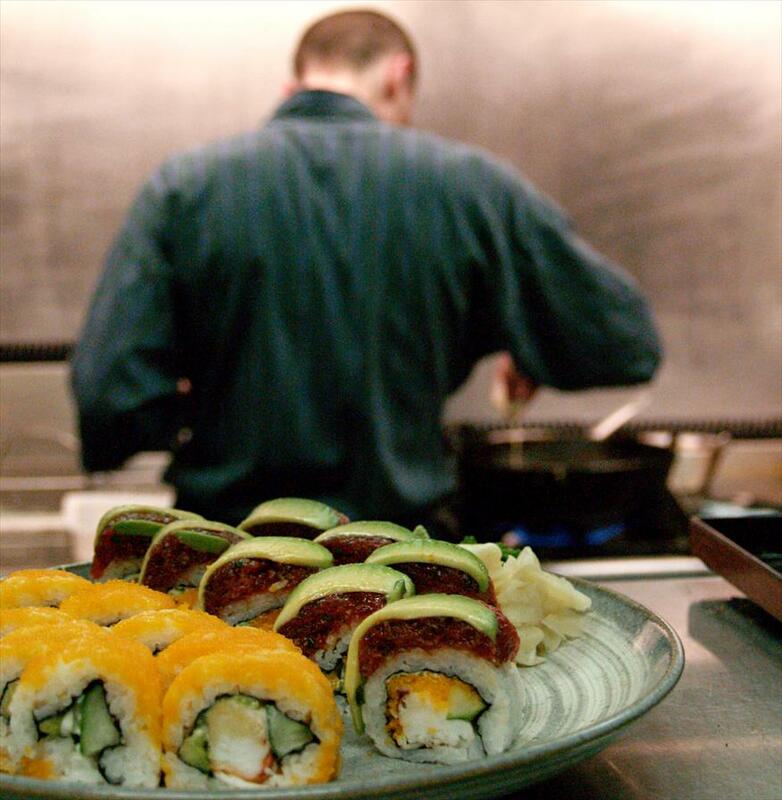 The best of the Japanese kitchen is combined in a very extensive menu: from meat to fish, raw to grilled and noodle soup to vegetarian. Oni is Japanese food at its best. Enjoy a Japanese cocktail in one of the plush sofas. Or make a choice from the Bento box-menus: a complete Japanese meal with much more, packed up in a special lunch packet. The contents fulfill all the required tastes; sweet, sour, bitter. There is also a choice in the particular cooking preparations: boiled, steamed, raw, fried and baked. Noticeably, the interior is very simple and direct, and it was designed specially for Oni by Peter Donkers. The colored lightning and the ‘catwalk’ in the middle make a visit to this restaurant something special. It is not for nothing that Oni is situated in the heart of the Hofkwartier, an epitome in The Hague. Oni opened up in 2002 with Jennifer and Paul Man. The professionalism of this couple ensured that in a very short time, Oni became a noteworthy restaurant in mostly all of the well mentioned restaurant guides.